Starting with a deeper understanding of the pre-built smart templates available in Final Cut Pro X, we quickly move into exploring Motion 5. 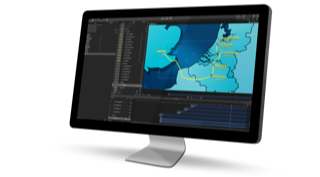 Hands-on exercises help you become familiar and confident with the Motion interface as we build custom Final Cut Titles, Transitions, Effects and Generators and explore the flexible yet powerful functions of Publishing and Rigging. Using real-world examples, this is the ideal introduction to working with Motion and unlocking the potential of building your own smart templates for use in Final Cut Pro X.